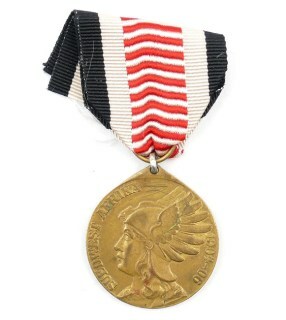 'Südwest Afrika Denkmünze' 1904-06 bronze medal (Den Siegreichen Streitern Südwest Afrika 1904-1906). The medal is complete with it's original ribbon. Nice example in very good condition! 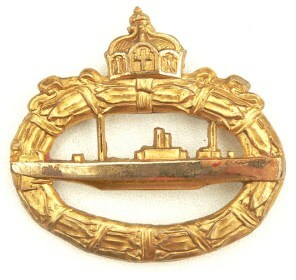 'Ehrenkreuz für Frontkämpfer' (Hindenburg Cross). The cross comes with its original ribbon as found. The cross is nicely maker marked 'A&S' on the back. Nice example in good used condition! 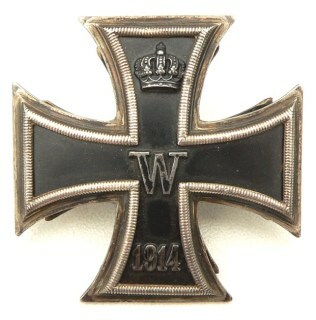 WW1 Iron Cross first class (Eisernes Kreuz 1. Klasse), this is a scarce so-called 'screw-back version' (Schraubscheibe), the small screw is missing. The cross can be attributed to the company of 'Otto Schickle' from Pforzheim. Nice example in good used condition! WW1 Iron Cross 2nd Class (Eisernes Kreuz 2. Klasse). The cross is maker marked 'LW' indicating production by an unknown manufacturer. The cross is complete with its original 12cms long sized ribbon. 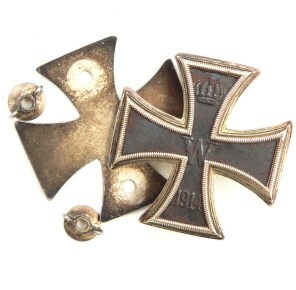 Nice original WW1 Iron Cross 2nd Class! 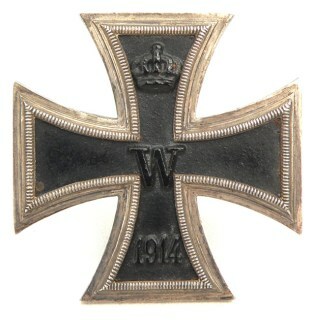 WW1 Iron Cross first class (Eisernes Kreuz 1. Klasse). Early unmarked 'Schinkel' form cross made by the company of 'Wilhelm Deumer' from Lüdenscheid. The cross is nicely vaulted (gewölbt). Nice original cross in very good condition! 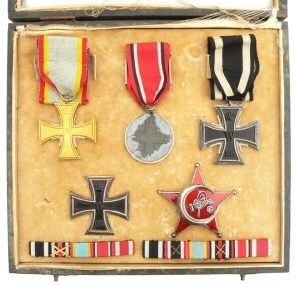 Prussian Red Cross Medal Grouping including 2 Red Cross Medals and a Hindenburg Cross, all with female confectioned ribbons. Also included in the grouping are a nice miniature-set, various ribbon-bars and 8 postcard-size photographs. Interesting original grouping in good condition! 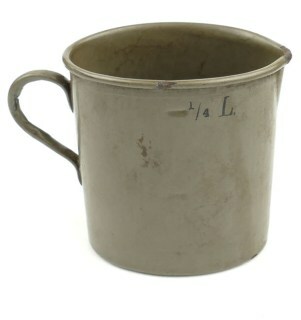 This is a nice and scarce original German World War 1 Enameled Drinking Cup (Trinkbecher 15). 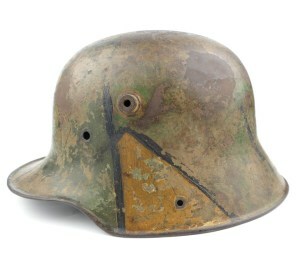 Nicely maker marked and dated with 'Bing 16' indicating production in 1916. Example in good used condition! Turkish Half Moon "Gallipoli Star" (Eiserner Halbmond/Gallipoli Stern). 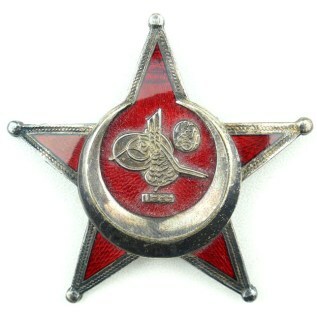 The star is not visible maker marked, it is '950' silver marked. The catch might have been periodically repaired. Nice original Gallipoli Star in good used condition! Turkish Half Moon "Gallipoli Star" (Eiserner Halbmond/Gallipoli Stern). The star is nicely maker marked with 'BB&Co'. It's complete with it's functional original pin/catch system. 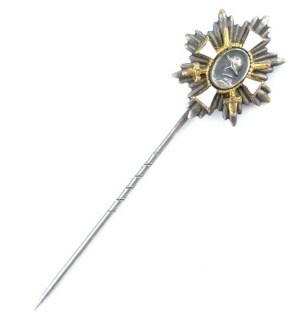 There is some enamel damage, the star is showing stunning details. Nice original piece! WW1 Wound Badge in Black (Verwundeten Abzeichen in Schwarz 1918). 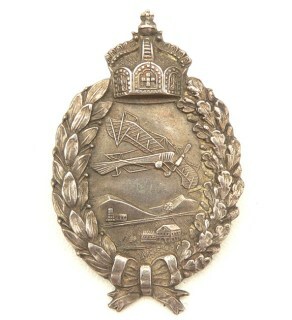 The magnetic steel badge is complete with its functional pin and catch. 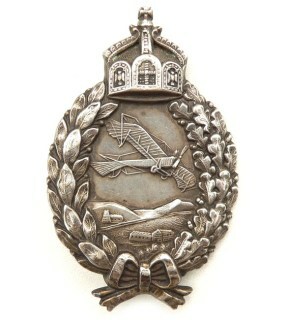 The badge is not visible maker marked. Nice example in very good condition! British made 'Schandkreuz 1914', on the cross are names of six cities where in the eyes of the allies, the German army had committed atrocities, one side has "Antwerp, Dinant, Ghent 1914", the oder side: "Rheims, Louvain, Amiens 1914". Nice original example! German 'Heeres Reichsverpfl.-Amt' Sack. 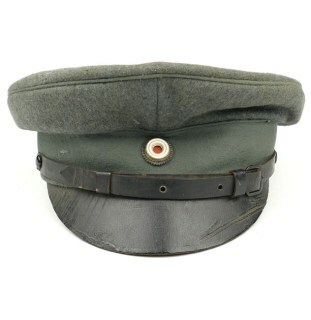 This is a civillian sack, dated 1887, the sack has been reissued by the German Army in 1920 and is marked with 'Heeres Reichsverpfl.-Amt' and dated 1920. The sack is in very good, only slightly used, condition. Nice original example! WW1 Iron Cross Ribbon Bar on Carton Selling Board (Bandspange zum Eisernes Kreuz 2. Klasse). 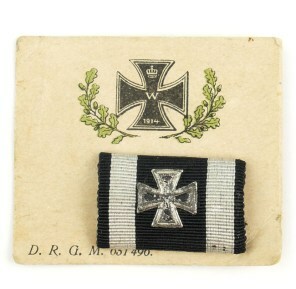 The Bandspange is of the larger 2,5 cms wide version and is having a miniature iron cross attached, mounted on its original "D.R.G.M. 651 496" marked display cardboard backing. Rare piece! 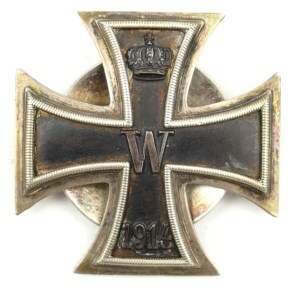 WW1 Iron Cross 2nd Class (Eisernes Kreuz 2. Klasse). The cross is not visible maker marked. Nice example that is period mounted on a so-called 'Einzelspange'. 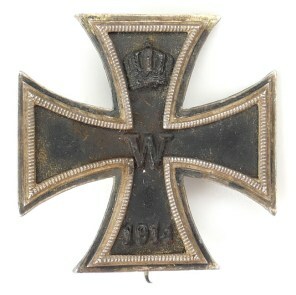 Nice original WW1 Iron Cross 2nd Class! 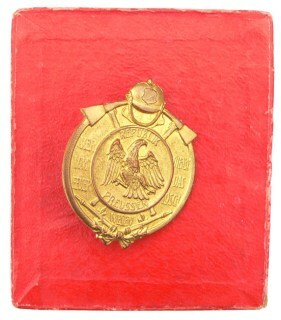 Cased Prussian Decoration for Merit in the Fire Service (Erinnerungszeichen für Verdienste um das Feuerlöschwesen, Republik Preussen). The badge is having a functional pin and catch. Nice example in very good condition! 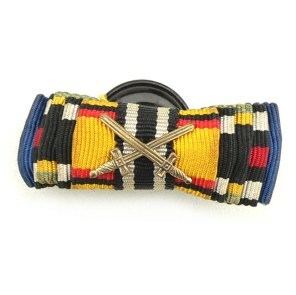 WW1 matching 3-piece Ribbon Bar Set (Bandspangen), one having a buttonhole attachement. 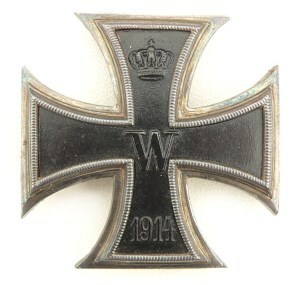 Showing respectively the WW1 Iron Cross 2nd Class, the Friedrich-August Cross and the Hindenburg Cross. Nice original set! Five-piece buttonhole Ribbon Bar (Bandspange) showing ribbons for five medals including the the 'Ehrenkreuz für Frontkämpfer' (Hindenburg Cross) and the Iron Cross 2nd Class. Nice original example! 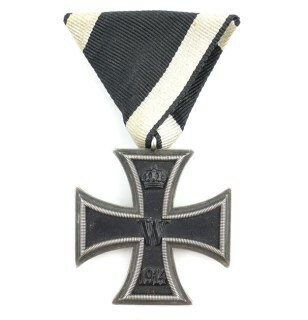 WW1 Iron Cross 2nd Class (Eisernes Kreuz 2. Klasse). The cross is maker marked, the marking however is hard to read. The cross is complete with its original 15cms long sized ribbon. 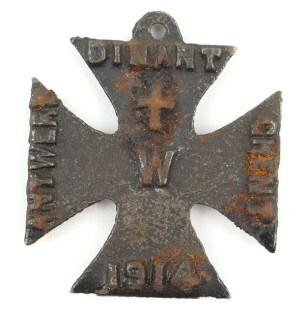 Nice original WW1 Iron Cross 2nd Class! 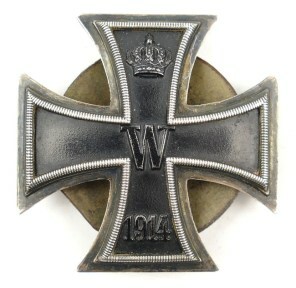 WW1 Iron Cross 2nd Class (Eisernes Kreuz 2. Klasse). The cross is not visible maker marked. The cross is complete with its original 9cms long sized ribbon. 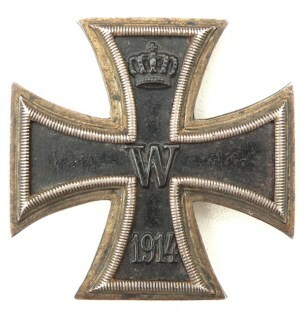 Nice original WW1 Iron Cross 2nd Class! 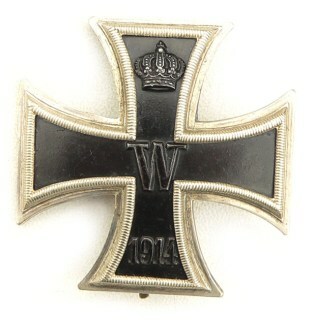 WW1 Iron Cross 2nd Class (Eisernes Kreuz 2. Klasse). The cross is maker marked with a 'WILM' indicating production by the company of 'H.R. Wilm' in Berlin. The cross is complete with its original confectioned 'Austrian-styled' ribbon as found. Nice cross in very good condition! 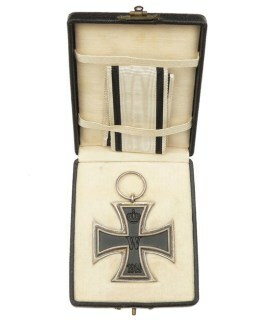 Carton 1870 Iron Cross 2nd Class (Eisernes Kreuz 2. Klasse). 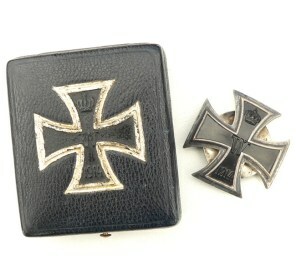 The cardboard Iron Cross is approximately 42mm wide and corresponds to actual sizes. These cardboard crosses probably served for decorative purposes. Decorative original piece! 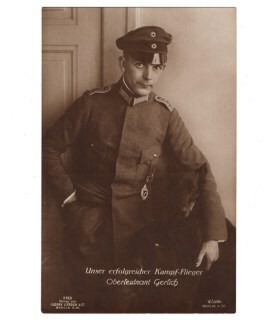 Rare original Weimar period miniature 'Deutsches Feld-Ehrenzeichen'. The multi-piece construction 20mm sized miniature is nicely marked on the back with 'Ges.Gesch.'. Nice original example in good used condition! 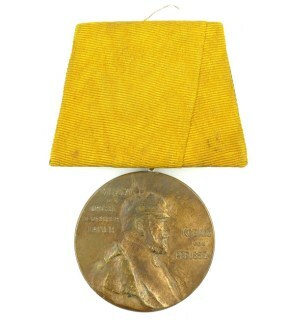 Prussian Centenarmedaille 1897. 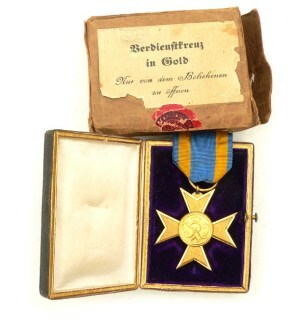 The medal is complete with its original confectioned ribbon, mounted on a so-called 'Einzelspange', having a functional pin/catch attachment for mounting it on a tunic. Nice example in good used condition! WW1 wound badge in black (Verwundeten Abzeichen in Schwarz 1918). 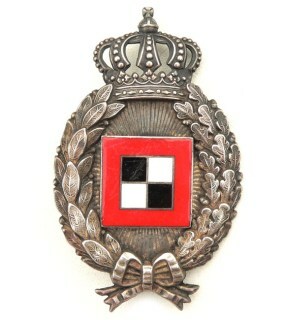 The magnetic steel badge is not visible maker marked, this is the harder to find cut-out variant (durchbrochen). Nice example in good used condition! 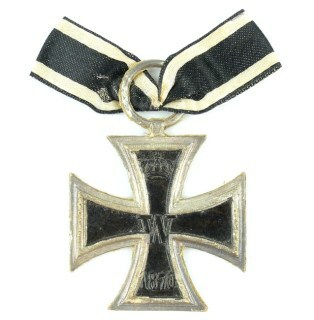 WW1 Iron Cross first class (Eisernes Kreuz 1. Klasse). The cross is maker marked with 'H.B.G. 800' indicating production by an unknown manufacturer. Rare and hard to find original cross in good condition! 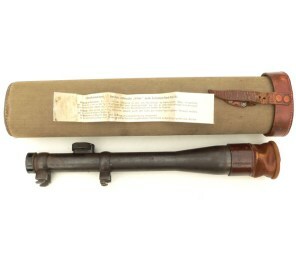 This is a nice German Tent Pole Bag M15 with contents (Zeltausrüstung). The pouch is nicely marked and dated 1916. Complete with 3 tent poles and 4 tent pegs. Nice set in good used condition! 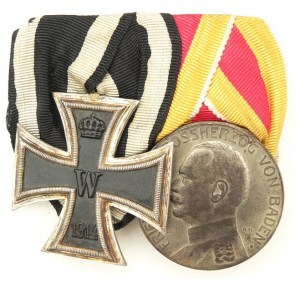 2-piece medal-bar (Ordenspange), consisting of a WW1 Iron Cross 2nd Class and a Baden Silver Medal of Merit "Friedrich II, Grossherzog von Baden". The medals are nicely mounted on a medal-bar for wear on the 'walking-out' tunic. 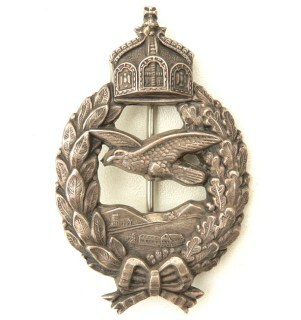 Nice original Baden Medal-Bar in very good condition!